The accusation that Zambeef was using a chemical, aromatic aldehydes, to keep its beef products fresh is a complete lie and hoax. The chemical alleged to have been found in batches of some beef products imported into the country is totally useless in keeping beef products fresh and it is actually used in the confectionary and food industry to give flavour as well as cosmetic industry as perfumes or scents. According to the Daily Nation investigations, the chemical used for embalming dead bodies is called formalin. Pathologists contacted by the Daily Nation confirmed that formalin which is formaldehyde and methanol and not aromatic aldehydes was used for embalming or preserving tissues or dead bodies and there is no relationship between the two. If injected or sprinkled into beef products, aldehydes would be useless apart from giving products an aroma. It cannot keep the flesh fresh. 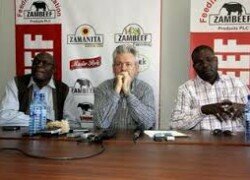 And Zambeef Chief Executive Officer Francis Grogan told the Daily Nation that the process of importing beef products was as transparent as possible to ensure that what was being imported met the international standards for human consumption. “This whole issue is a hoax, it is a blackmail attempt to bring down this company. We import less than 3 per cent of beef products into this country which are in short supply such as hooves, livers, kidneys and offals. We don’t use local animals for offals because they are diseased,” he said. Mr. Grogan explained that there was nothing wrong with the company importing livers, hooves, ox-tail and offals as they were fit for human consumption and not in any way contaminated. He said that his company imported beef products such as livers, kidneys, offals and hooves from time to time because of the shortfall of the products on the local market. Mr. Grogan said that the beef products supplied by his company were safe for human consumption and described newspaper reports alleging the use of harmful chemicals in the meats as not factual and totally absurd. He said that his company was slaughtering about 5,000 to 6,000 animals per month for local consumption and these were kept in tight secured refrigerators. “We keep our beef in frozen containers, actually refrigerated containers and not the chemicals these people are talking about. There is no chemical used whatsoever in preserving our products,” he said. Health experts told the Daily Nation that aromatic aldehydes were not used for embalming dead bodies as suggested by some newspaper reports. “Aromatic (complex) aldehydes are not used for embalming. As far as we know them as health experts, the chemical that is used in the embalming process is formalin (37 per cent aqueous solution of formaldehyde or methanol, with 15 per cent methanol) which is very distinct from aromatic aldehydes and there is no reasonable laboratory that will mistake one for the other,” the experts said. The expert told the Daily Nation that Aromatic Aldehydes could not be used to preserve meat, adding that their addition to meat products would serve no preservation purposes at all. “Familiar examples include benzaldehyde (bitter almonds), vanillin (vanilla flavour) and cinnamaldehyde (cinnamon flavor). They are charecterised by the presence of benzy ring and their carbonyl group has lower infra-red absorption compared to aliphatic (simple) aldehydes,” said the expert. 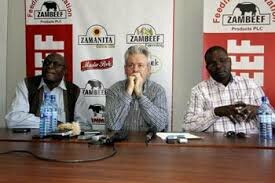 Meanwhile, according to documentation obtained by the Daily Nation on the importation of beef products by Zambeef revealed that the beef products such as liver from Ireland was examined before exportation by that country’s Department of Environment, Food and Rural Affairs. According to the certification, the beef products were fit for human consumption in the European Union (EU) countries, United Kingdom and elsewhere.